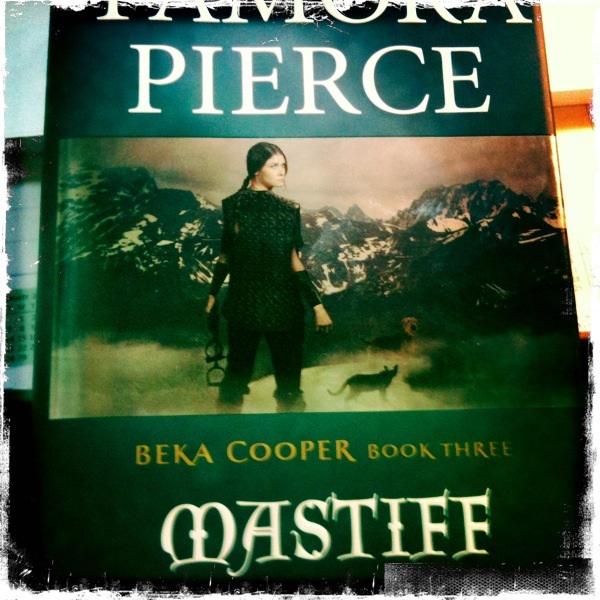 I was really looking forward to the final book in Tamora Pierce’s Beka Cooper trilogy, but Mastiff did not end up being exactly what I was hoping for in wrapping up the series. Instead of taking place in familiar locations or familiar characters, we were introduced to a wide ranging hunt across the realm with only a few familiar faces. The story itself was interesting and really enjoyable, and some of the new characters introduced were wonderful, I just felt I did not get enough closure on some of the plotlines that I was interested in from the previous books. It also felt like some of the characters we did know ended up acting in ways that were out of character for them. While the first novel was set in the capital city of Corus, and the second set in Port Caynn, a city familiar to Pierce’s readers, the wide-ranging scope of this case set across the realm required a lot of exposition and narrative positioning for the reader to understand what was going on. I felt like this meant that many things I would like to have known were left out, such as the lives of characters who had been in previous books, and other plotlines were dropped completely from the story, even ones which had been built up for the previous two books. Though it was a conclusion of sorts for the character of Beka Cooper, it tried to do too much at the last minute, and my favourites for this series will remain as the first two books, Terrier and Bloodhound.